I have difficulty believing that the benchmark line really tracks California personal income. Was there no increase in unemployment in 2009? Did personal incomes really grow on that nice straight line? Or is this graph just a fantasy of how things "ought to be"? I'm sure that Chris can give fuller explanations when he gets back but if you look again at the post he already indicated that there should have been a dip in 2009. It is the general picture I think he is trying to get across. 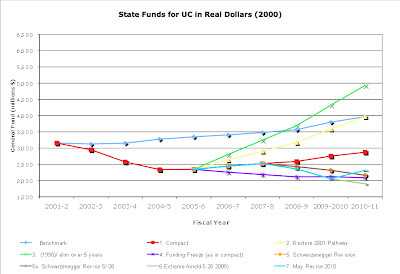 I see that Cal State's Chancellor Reed has taken on the governor in today's LAT op-ed, "It still doesn't add up." 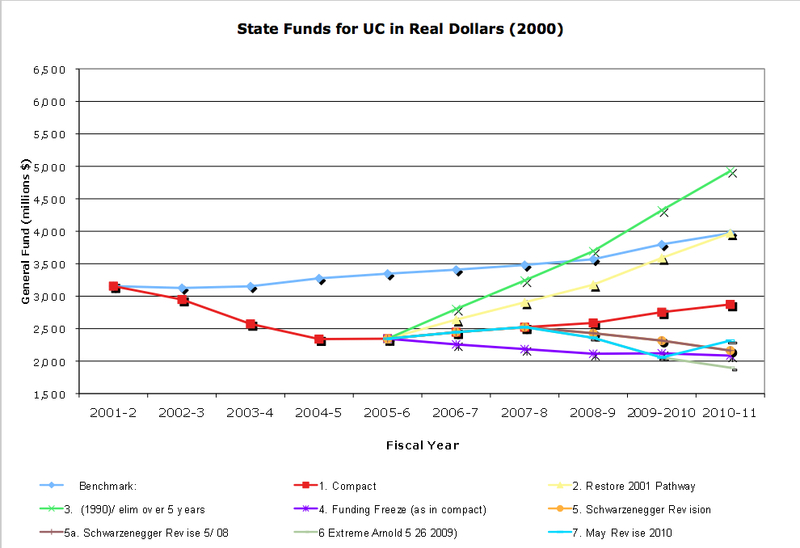 Why does UC express nothing but undying gratitude for the governor's pledge of $365.6 million additional funding? 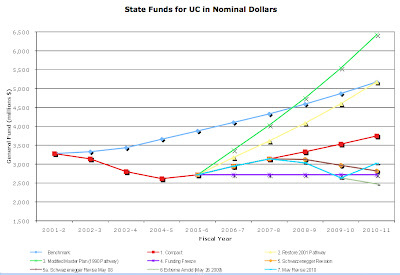 When will UC leadership be willing to say that the governor is not wearing any clothes? Should it come as no surprise, then, that the public blames UC for increasing the number of non-residents and directs their anger at us for the fact that Californians are getting the short end of the stick? 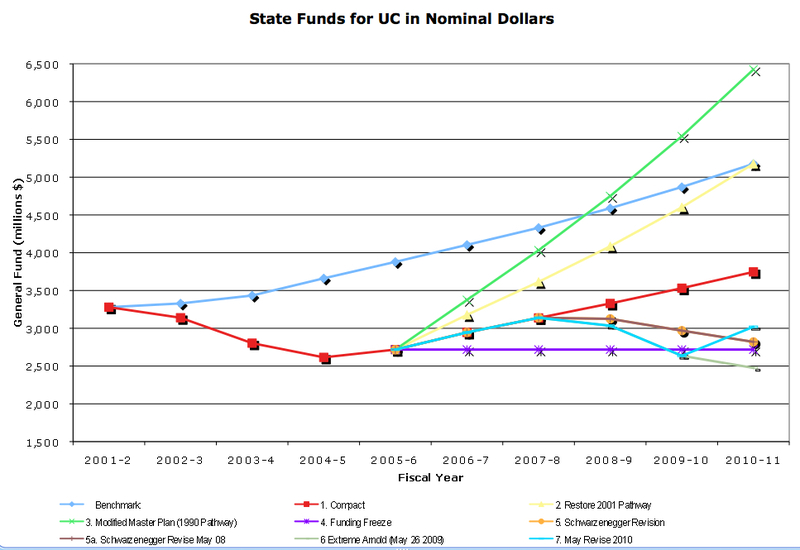 As Chris has been saying for a very, very long time, the defunding of UC is as much a result of UCOP's missteps as the state's current political and economic crisis. And yet, as Michael indicates in the previous blog, Yudof et al. are looking for a way out by continuing down the same path that has led us here.